Offset print on card, 7″ x 5″. 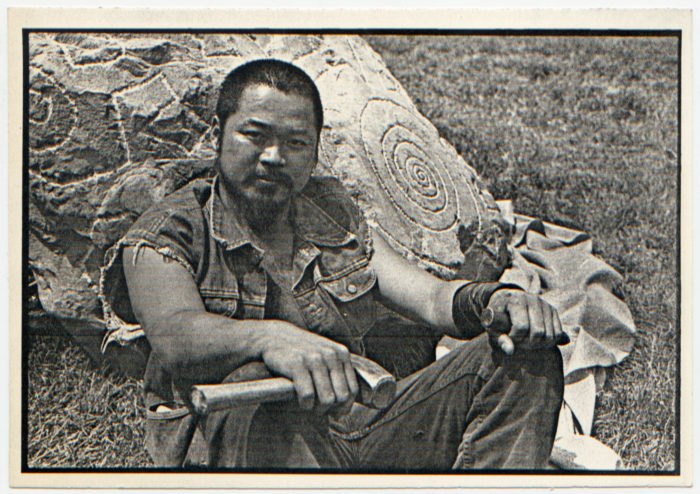 Jim Cornwell opened Nada gallery next door to No Se No in 1984. The gallery drew upon the same pool of talent. 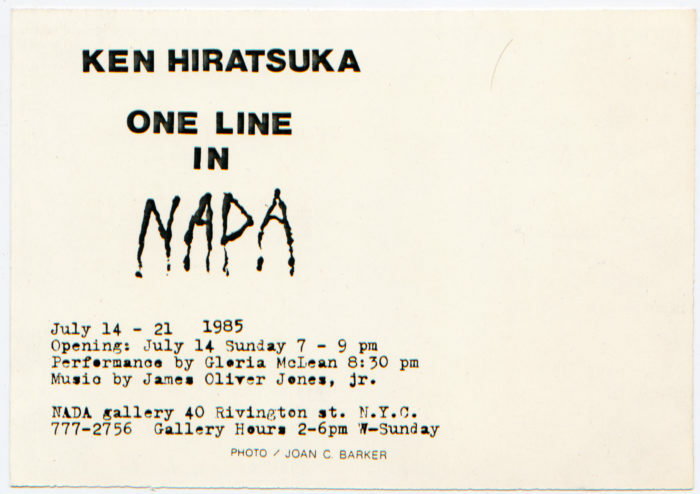 The exhibition title “One Line” uses Hiratsuka’s description of his practice: carvings and drawings, each of which features a single, continuous line. Photo by Joan C. Barker.